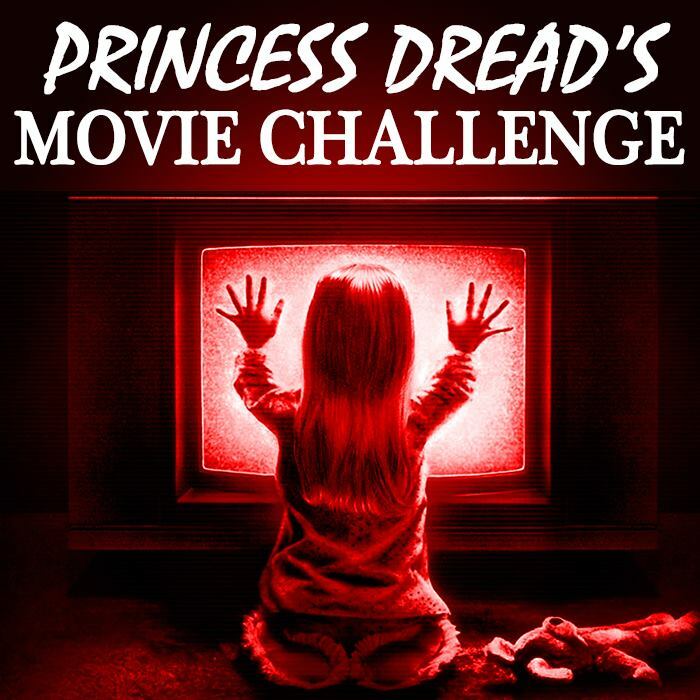 Here’s where this Movie Challenge gets serious. 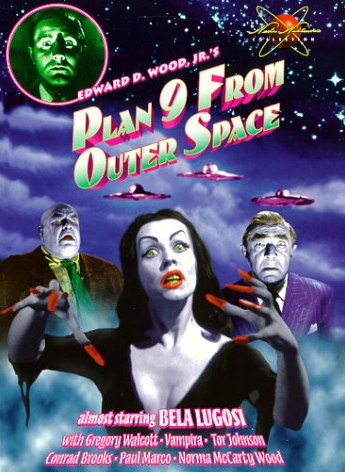 You cannot watch through a bunch of classic movies without seeing Plan 9 From Outer Space. It’s one of the worst movies ever made! Plus it stars Vampira. That’s enough of a reason for a horror fan like me to see it. The gist: Oh gosh… So aliens are regularly coming and going on Earth, and the government is denying it because that’s every government in every movie. So the aliens are throwing a hissy fit because no one believes they’re real. So to get back at us, they’re re-animating the dead bodies of people to prove their powers are real. But they only re-animate three people, because the assigned squad to this mission only consists of three people. Don’t ask me why. The real meat of the plan only comes in the last thirty minutes of the thing, where the aliens explain that humans have to be destroyed because A) They don’t believe that other life forms could exist, and B) Humans will eventually evolve to the point of discovering alien weaponry. No one trusts us to be able to handle that much power. Notice how I didn’t mention the actual human characters in this film. That’s because they don’t matter. Seriously, they don’t. The aliens are the best part of this film. Vampira, too. But she’s just universally fabulous. What I “learned”: At the core of every bad movie is a great idea. There’s some nugget of genius in every bad movie that wasn’t expressed enough. Plan 9′s was the idea of aliens wanting to destroy Earth because they were eventually going to mess everything up through weapons. Or even just truly pacifist aliens who are patient with us even as we deny that they exist. That’s some good stuff! Why add zombies in an attempt to make that more interesting? See this movie if you like: Cult films, or any movie that does the world a service just by existing. Eraserhead and The Hangover both also fall into this category, because they’re manifestations of ideas everyone has had for movies. If you like movies that are 180 degrees away from what you think a movies should be, you will enjoy this. It broadens the mind. Not to say that you should over-estimate this film. It is incredibly stiff and cheesy. Much like many action movies I’ve seen, this film is ideal for sitting around with some friends and laughing while drinking from a six-pack. It’s fantastic for that. I would also pay money to see a shadow cast performance of this film. Any day of the week! Avoid this movie if: You want to watch cult movies for the sake of watching cult movies. I understand this urge, but you have to trust me: This movie isn’t meant to be watched and take seriously. It really isn’t. I personally did my best to watch with respect and serious consideration. While it does have those shining moments of intrigue I mentioned before, those are few and far between. So saddle up, grab your mind-altering substance of choice, and let yourself loose while watching this. It’s okay to laugh at the tiny flying saucers on fire. It really is.